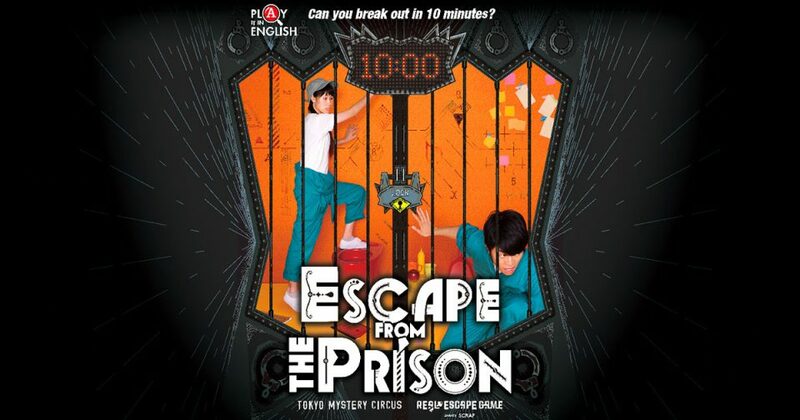 A brand new type of Real Escape Game that lets you experience an entire game in just 10 minutes! Search the prison cell in pairs and find the key to escape! You were arrested for a crime you did not commit, and have been thrown into the maximum-security prison, “Mystery Prison”. As the day of your execution looms closer, you receive a tip-off from your old friend, an informant. “Rumor has it that tonight, there will be a 10-minute window for a chance to escape. Are you able to solve the locks and codes in the prison, and escape from this dire situation? ① Buy tickets for your preferred date and time slot. Maximum 2 players per cell. Up to 20 people can play at the same time during each session. ③ Listen carefully to the game explanation and caution points. Start the game! You have 10 minutes. *If advanced tickets are sold out online, there will be no at-the-door tickets either. *If you buy a Standard Ticket and come alone, there may be a chance that you will play together another solo player. A.Please register 10 minutes before your game session starts. A.The game itself is only 10 minutes long. However, please estimate the total time to be 20 minutes including waiting time, explanation of the game, and debrief time after the game has ended. A.Unfortunately, a wheelchair will not be able to enter the game area. If the person is out of the wheelchair or leaning against the other player for support, it is possible to play the game. However, due to the nature of the game, you may not be able to fully enjoy all components of the game in this manner. It is common for the guardian to be too absorbed in the puzzles and lost sight of their children while playing. Please be careful of this. A.If the child can read and write, they can play. This game is available in both Japanese and English, so non-Japanese can choose to play the English version. Q.Can I leave my bag somewhere? A.You can leave your belongings at the 1st floor ticket counter for a fee of 500 yen. However, there is limited capacity. If you are playing the Real Stealth Game on the 3rd floor, there are free coin lockers to store your belongings. Please refrain from leaving large baggage such as suitcases in the game area. You can also use the public coin lockers outside the facility. Q.Can I play this game more than once? Q.Can I upload spoilers onto my blog or social media? Q.How do I make sure that my friends and I play in the same team? A.This game is played by a maximum of 2 people. There, if your group is an odd number like 3 or 5 players, one player will have to team up with a random player with the same time slot.